Fractal is a financial data exchange for small-medium-enterprises (SME) and their financial partners. We use machine intelligence to interpret and communicate financial information, thereby facilitating the flow of financial services. Our mission is to bring liquidity to the SME financing market by creating a new asset class. Fractal works with banking partners to automatically aggregate permission based SME business data from bank accounts, accounting software, credit risk agencies and more. Using various artificial intelligence techniques, Fractal then automates the data analysis and forecasting to help determine if the business is suitable for financing. All debt insurances are recorded via smart contracts on a permission based blockchain to be pooled, securitized and sold to investors by our partners, thereby creating a new asset class and increasing liquidity. We manage the oracle of SME information from data input to secularization, trading and clearing.Fractal is your financial partner. 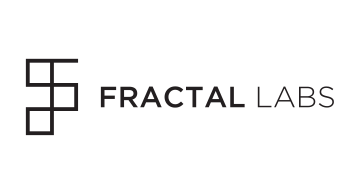 Fractal Labs is part of London & Partners’ London Fintech Lounge at Money20/20 Las Vegas.